Clean eating: What are the health benefits? 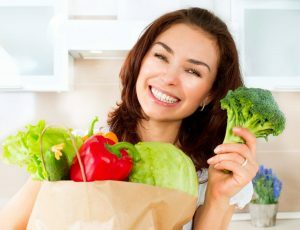 Clean eating has been the focus of a lot of attention lately, with celebrities and authors touting the health benefits of this approach to diet and nutrition. But what does it mean to eat clean? The answer to that question can vary, depending on who you ask. Some versions of clean eating require you to follow a fairly strict set of dietary guidelines. While that may work for a while, it’s more difficult to stick with a restrictive approach to eating in the long term. Perhaps a wiser approach is to look at what you are currently eating and do a basic clean-up, making healthier choices not only about what you eat, but also about where your food comes from. These tips can help you build a healthy diet that can help lower the risk of heart disease, diabetes, some types of cancer, cognitive impairment, obesity, and a range of other health problems. Some studies have found that diet can play a role in psychological well-being as well. Eat a diet that is primarily made up of plant-based foods, such as fruits and vegetables, whole grains, beans, peas, lentils, nuts, and seeds. Choose organically grown fruits and vegetables to lower your risk of exposure to pesticides. The non-profit environmental research organization the Environmental Working Group has an annually updated list of which conventionally grown foods have the highest and lowest levels of pesticide residue, which you can use to help you prioritize which organically grown foods to purchase if your budget is limited. Choose fresh, whole, local, sustainably grown foods whenever possible. One good source for these foods is your local farmers market. Talk to the farmers to learn if they use organic, sustainable farming methods. Another option is to find area organic farms that offer a community supported agriculture (CSA) program where you get a weekly delivery of produce harvested on the farm throughout the growing season. Limit red meat and cured meats. If you do choose to eat animal-derived foods, including seafood, meat, and eggs, choose wild-caught and free-range options that are also hormone- and antibiotic-free. Avoid processed, refined, and packaged foods. For example, choose brown rice rather than white. Brown rice is the whole grain, while white rice has been milled to remove the bran and germ, which reduces both fiber and nutrients. If you want to sweeten something, chose honey rather than white sugar. And rather than buying a rice or pasta mix, make the dish from scratch using healthy ingredients like whole grain pasta and fresh vegetables and herbs. Choose healthy fats rather than saturated fats and trans fats. Olive oil, avocados, cruciferous vegetables (such as broccoli, cabbage, and cauliflower), legumes, nuts, seeds, and wild-caught salmon are all good sources of healthy fats. Drink water. There’s no magic number of ounces of water you need to drink per day, but choose water as your beverage rather than other beverages that don’t offer any nutritional value and simply add sugar and calories to your diet. Read labels. When shopping for food, take the time to read labels and avoid foods with artificial additives, colorings, and sweeteners. As a general rule, if you can’t pronounce an ingredient, don’t eat it. It’s also beneficial to take the time to prepare and eat your meals with family and friends whenever possible to reap the social and psychological benefits of the connections you’ll build by spending time together. An experienced specialist in nutrition can help you overhaul your diet and build a clean eating strategy that can help you reach your personal health and wellness goals.